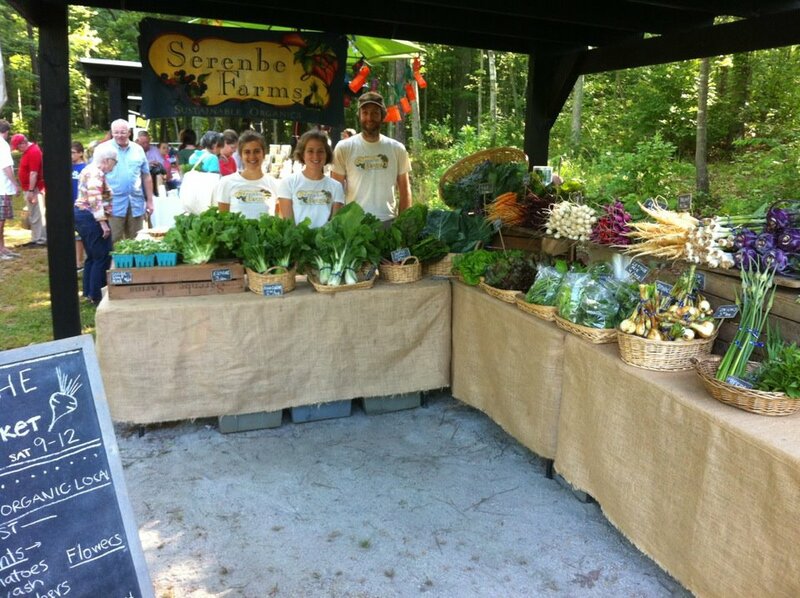 If you’ve meant to visit the Farmers and Artists Market in Serenbe, this Saturday, October 27, is your last chance for the season. 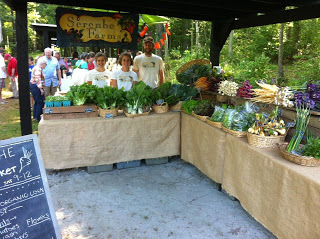 The market runs from 9 am to noon. 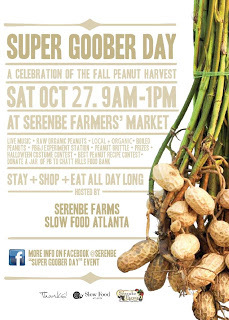 Also that day in the market is the always fun Super Goober Day from 9 am to 1 pm, hosted by Serenbe Farms and Slow Food Atlanta. 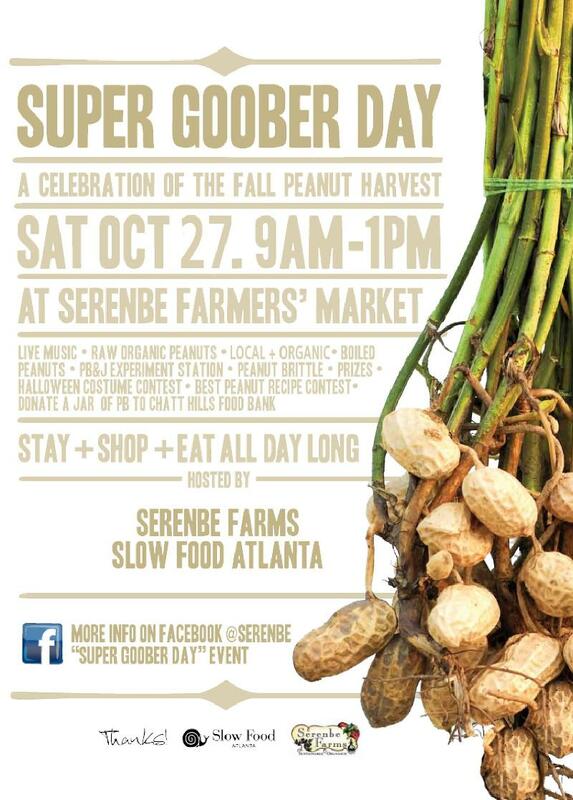 Super Goober Day celebrates the fall peanut harvest. This is a crowd-pleasing event with organic peanuts (raw and boiled), live music, PB&J experiment station, Halloween costume contest, best peanut recipe contest, and more. Bring a jar of peanut butter to donate to the Chatt Hills Food Bank. See you at Super Goober Day! Join us at The Farmhousefor dinner between 6:00 p.m. and 9:00 p.m. Visit us online or call 770 463 2622 to make a reservation.